An ‘historic’ draft agreement between BC, Ottawa, and First Nations proposes resource development closures in critical caribou habitat to help recover three dwindling herds. In other Forestry news: America’s reindeer go quietly extinct; US lawmakers call for more forest thinning to reduce wildfire risk, while the practice is well underway in central BC; and three [forest-friendly] wishes for Northern Ontario. In other news: East Texas gears up for wooden high-rises; the US Endowment and USDA announce mass timber demonstration grants to promote wood innovation; and six EU countries are accused of importing illegally harvested timber. Finally, lots more on International Forestry Day from the CIF, USDA and Treehugger. Investing in forestry and tree-planting makes good business and environmental sense. That was the message a delegation that included Renfrew Reeve Peter Emon brought to legislators at Queen’s Park March 20. Emon and Forests Ontario CEO Rob Keen released a report outlining the positive impacts of tree planting, including jobs and a variety of spin-off benefits. …Emon observed that in addition to obvious environmental benefits, the practice “leads to jobs and economic gains, as nurseries, landowners, municipalities and forestry consultants engage in tree-planting activities.” …Using standardized techniques for calculating ecosystem services, Green Analytics demonstrated the trees planted through Forests Ontario’s efforts are conservatively valued at $82.7 million annually. For every $1.80 the provincial government provides Forests Ontario to support tree planting, no less than $19.85 in ecosystem service value is derived. This translates to an 11:1 return on investment, concludes the report. Resolute Forest Products today announced that due to log supply constraints, the company will curtail production at several of its Quebec and Ontario stud sawmills during the second quarter, representing about 30 million board feet of lumber. 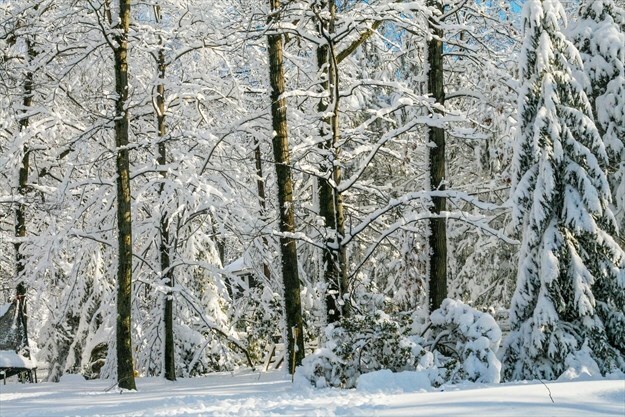 Challenging winter weather conditions, in addition to a very wet fall, slowed down our woodlands operations and related transportation, impacting log supply for Q2, said a company spokesman. “We do not anticipate any issues meeting our customer commitments, and we are making every effort to minimize the impact of this decision on our employees and suppliers,” he said. The U.S. Endowment for Forestry and Communities, in partnership with the United States Department of Agriculture’s Forest Service (USFS), today announced the initiation of the Mass Timber University Grant Program and related Request for Proposals to promote the construction of mass timber buildings on institutions of higher learning campuses across the U.S. The intent of the Grant Program is to inspire interest in and support for mass timber products among the architectural, developer and building communities as well as the public, by showcasing them in highly-visible projects on university campuses. “Increased use of mass timber in construction is a triple win: for our nation’s forests, our rural economies, and builders. 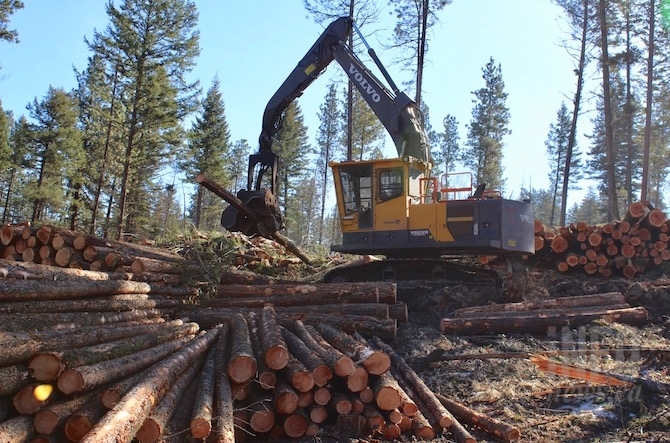 Demand for sustainably-sourced wood helps provide a market incentive for forest retention, management and stewardship activities that reduce the risk of high-severity wildfire,” said Steve Marshall, Assistant Director of Cooperative Forestry, USFS. LUFKIN, TEXAS — Tall pines blanket much of East Texas. …The region’s native trees have been harnessed into what’s known as the “wood basket” of the nation by foresters such as Rob Hughes, president of the Texas Forestry Association. …Mostly used until now to frame single-family home and for everyday products such as paper and furniture, the southern yellow pine grown along the Gulf Coast could soon be destined for structures unlike anything United States has ever seen: wooden high-rises 18 stories tall. …The new code has the potential to transform both foresting communities and cityscapes. …It will likely take another two years before cities begin adopting the code, but developers have begun to push up against current limits. 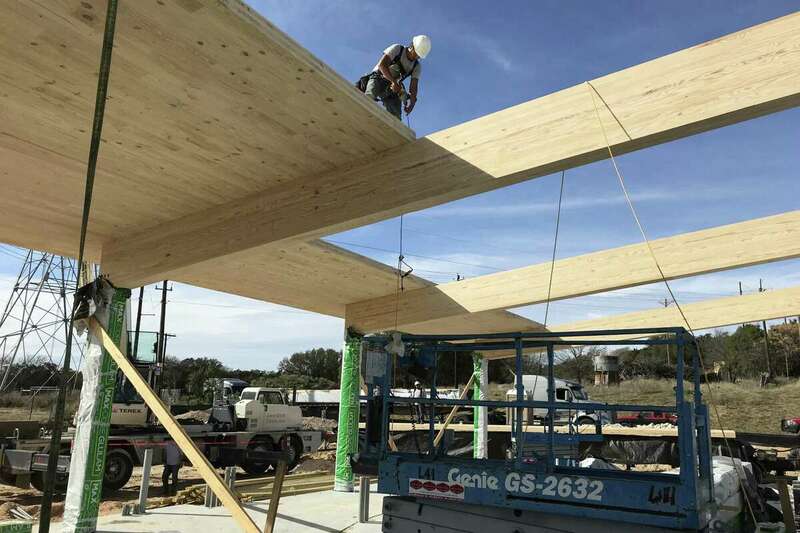 Houston-based Hines has built multiple 85-foot-tall wooden buildings (which is the current height limit) and says there is no reason it could not go higher when limits increase. Did you know the International Day of Forests is March 21? It’s a day the United Nations General Assembly made official to raise awareness of the importance of forests around the world. The U.N. encourages all countries to organize local, national, and international activities that get people involved in supporting the sustainability of forests and trees. The theme for 2019 is “forests and education,” with the goal to increase understanding that sustainable forests are critical to our future. 5 fun ways to participate, #IntlForestDay …Make it a habit to look for the Sustainable Forestry Initiative (SFI) label whenever you shop. It means a product has been responsibly sourced or comes from a certified forest. You’ll find the SFI label on hundreds of products, from office supplies to home furnishings. Canada is a forest nation! With approximately 40% of our total area covered with forests or other wooded land, our forests play a vitally important role in supporting healthy communities. Our vast forested area that spans coast to coast supports biodiversity, provides essential ecosystem services, acts as a cornerstone of economic prosperity, provides recreational and cultural value, and is a hub for innovation and technology. Aptly themed, ‘Learn to Love Forests’, this year’s International Day of Forests serves as an opportunity to appreciate our trees and forests. …Given the realities we are faced with in a changing climate, the continued careful stewardship of our forests is more important than ever. Boasting 9% of the world’s total forest cover… Canada’s actively managed forests serve as an important carbon sink. QUESNEL – The City of Quesnel is taking a new lead on preparing for a downturn in forestry. The Mayor of Quesnel Bob Simpson, calls his community the most forestry-dependent community in BC and has seen the writing on the wall when it comes to the traditional production of two-by-fours. But the traditional method of doing forestry is changing and the City of Quesnel wants to be ahead of the game. It recently hired a Forestry Innovation Manager, Erin Robinson, whose job it is to find new ways of thinking about the forest and better ways to make use of every piece of a log. CanWel executives say education is key to the Fernie community and forestry company coexisting peacefully. Vice President Jake Blackmore and Chief Forester Steve Williams delivered an update on CanWel’s harvesting plans at Monday’s Committee of the Whole meeting in Fernie. They also provided an overview of the company, highlighting reforestation efforts and the 2.2 million trees planted last year. “The biggest thing that I think I took away from the meeting that Wildsight put together was I think we’ve got to somehow educate people that forestry isn’t bad,” said Blackmore, referring to a public forum hosted by Wildsight in February …Blackmore responded with his own challenge, inviting the teacher to bring her class to plant a tree with CanWel so that he can teach them about the forestry industry. “I think that’s what CanWel and… all forestry companies should commit to is (to) somehow educate kids,” he said. Supporters of the area surrounding Cottonwood Lake remaining forested can breathe a little easier following a decision by the Regional District of Central Kootenay board Thursday. 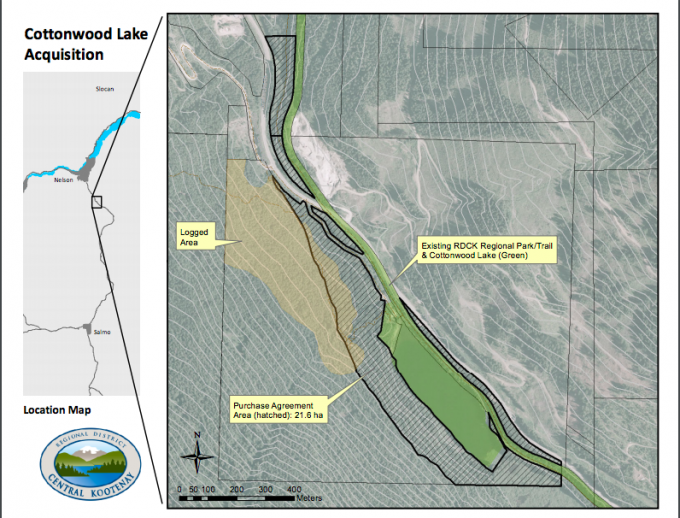 In a media release, the RDCK announced it has approved the purchase of 21.6 hectares (ha) of private land around Cottonwood Lake that had been slated for logging by the private landowner. The purchase price is $450,000 for the purchase of timber on the property, plus closing costs, and the issuance of a tax receipt for the value of the land (without timber). The RDCK release said the purchase is being partially funded with a $200,000 grant from Columbia Basin Trust with the remaining funds coming from loan proceeds from a debenture loan with the Municipal Finance Authority. RDCK staff will bring borrowing bylaws for the loan to fund the purchase at the April 2019 Board meeting. A draft agreement between B.C., Ottawa, and two Treaty 8 First Nations proposes a series interim moratoriums and changes to resource development practices in critical caribou habitat to help recover three dwindling herds in the South Peace. …The agreement calls for protected areas and closures for high and low elevation caribou habitat, and measures on recreation management, maternity penning, predator control, and land restoration. The closures are targeted at resource development, and not tourism and backcountry recreation, ministry officials said Thursday. No existing mining operations will be affected, but forestry and other tenure holders will be impacted. …A socio-economic study on the impacts of the closures has yet to be completed, and will be done collaboratively, ministry officials said. …Forests Minister Doug Donaldson is expected to comment on the two agreements later today. The City of Campbell River still isn’t pleased with the province’s responses to its numerous requests for the development of a long-term strategy of the Snowden Demonstration Forest. The city has been asking for a long-term plan to be created that would integrate forestry, recreational and environmental interests well into the future for quite some time, but the letters they have been getting back from the province don’t seem to indicate that will happen any time soon. They also requested a moratorium on road building in the area that will provide routes in and out for forestry equipment until such a plan is in place. …Although [the mayor] admits it will ultimately be up to the province to do as it sees fit, Adams says they’ll keep up the fight for Snowden’s protection no matter what those decisions are. KELOWNA – When government agencies go to work thinning out the forest near urban areas, they don’t fool around. One example is a new project in the South Slopes of Kelowna. In the last two weeks, crews from Gorman Bros. Lumber have thinned out a 10-hectare patch of forest above June Spring Roads to the point where there are only about 75 trees per hectare, versus the 900 to 1,500 that were there before. …the wide spacing of trees gives an impression more of a wooded park than a forest. “They’re creating a shaded fuel break, rather than a clear cut,” said Andrew Hunsberger, Kelowna’s Urban Forestry Supervisor …Gorman Bros. … will log an area they would never have considered working prior to this since it’s too close to homes. Residents bought into the program because it means fire protection for them. VICTORIA – An audit of five range agreements for grazing cattle in the Rocky Mountain Natural Resource District found that the ranchers met the requirements of the Forest and Range Practices Act, according to a report. “Range practices followed most range-use plan and legal requirements, and protected drinking water quality for downstream water users,” said Kevin Kriese, chair, Forest Practices Board. “These ranchers did a good job of protecting resources while grazing their cattle on Crown land.” The audit did find two minor issues involving notification of government when timing of grazing differs from the approved grazing schedule. In one case, the cattle were not put out on the range at all, and in another, they were taken off the range early, so there were no consequences to the land. These are considered areas of improvement. With only a few months left until wildfire risk rises in the Central Okanagan, the province is working in partnership with the City of Kelowna in order to protect homes from wildfires. …The Minister of Forests Doug Donaldson visited Kelowna to asses the project, which will be ongoing over the next few months in the city’s southeast district. Of the 4,000 hectares identified for tree removal in the Central Okanagan, 1,000 hectares will be tackled during the next three years, equaling $1.6 million, said David Conly, operations manager for the Okanagan area with Forest Enhancement Society, a Crown corporation. …“We’re taking those forests back to a natural state. By removing some of the trees from them and leaving the bigger trees, it’s more open and there’s less fuel on the forest floor,” Conly said. Is the Cowichan Weir Going to be Raised? The effects of climate change have resulted in drought conditions becoming the rule rather than the exception. …Raising the Cowichan Weir has been something many Cowichan Valley residents have been calling for, for a long time. To that end… Premier John Horgan said Ministers Doug Donaldson and George Heyman, along with Paper Excellence staff and Nanaimo-North Cowichan MLA Doug Routley are working together to change policies around water issues. “We want to ensure that we can bring forward changes to water use policies that will protect wild salmon, will continue to create jobs here (Crofton Mill), and as we adapt to climate change…” said Horgan. Remember the game. Doug Ford is a good fairy and he has offered the North three wishes. 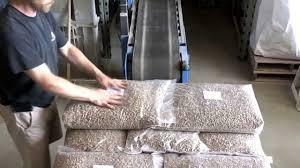 For the first, I showed how to increase value-added from the forestry sector. For wish two, I suggested that the research and educational facilities that support our Northern industries should be located in the North. We have one wish left. Let’s ask to run our own schools. …If you were the minister of education for Northern Ontario, you would have two clear goals. You would want to prepare Northern kids to succeed anywhere they go. And you would want to give them the knowledge they need to contribute to the growth and development of Northern Ontario. We clearly fail on this second goal. How many kids graduating in Northern Ontario know anything about native trees, let alone the forest industry? DAVIS, Calif. — The U.S. Department of Agriculture will invest more than $12 million this year to mitigate wildfire risk, improve water quality and restore healthy forest ecosystems through 13 targeted projects on both public and private lands, including three in California. Since 2014, USDA has invested $213 million in 69 Joint Chiefs’ Landscape Restoration Partnership projects, which focus on areas where public forests and grasslands intersect with privately-owned lands. The Joint Chiefs’ Landscape Restoration Partnership enables the Natural Resources Conservation Service and the Forest Service to leverage technical and financial assistance collaboratively alongside agricultural producers and forest landowners in California to help reduce wildfire threats, protect water quality and supply, and improve wildlife habitat for at-risk species. 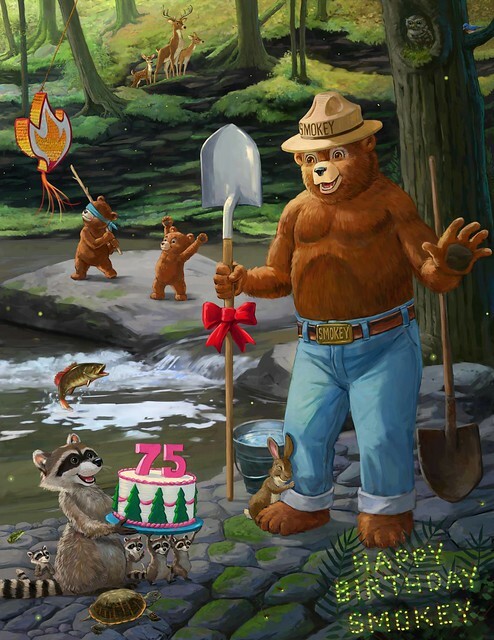 This week, the U.S. Forest Service commemorates International Day of Forests and its 2019 theme Forests and Education with the 75th birthday of the iconic forest educator, Smokey Bear. 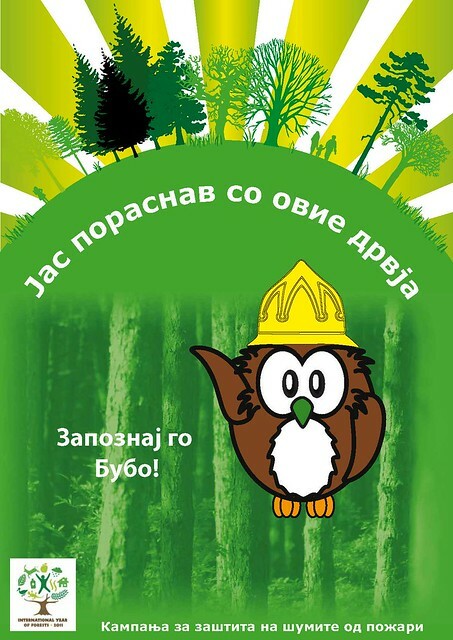 While Smokey Bear’s influence in the United States is remarkable, he is also an inspiration to forest mascots around the world. For instance, in Mexico, the National Forestry Commission employs Savi, a smiling squirrel who teaches youth and adults alike about the dangers of forest fires. Savi advocates for healthy forests in Mexico and leads his own El Club de Savi reaching all ages through games, activities, and his Facebook page. In South America, the National Forestry Corporation of Chile created Forestín in 1976. 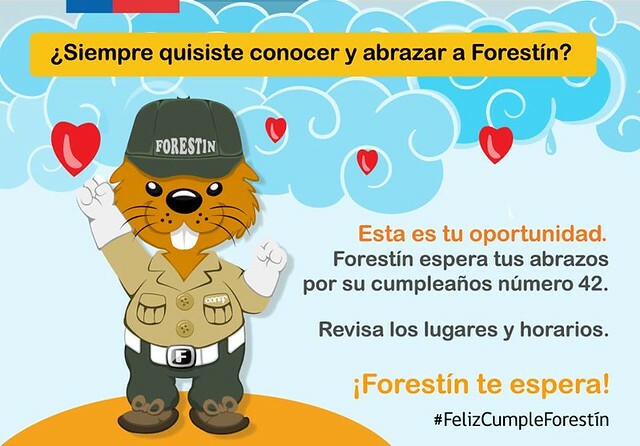 Forestín, a ranger or member of the fire brigade, is a coypu, a semiaquatic rodent resembling a beaver, and educates the Chilean public about forest fires. Gov. Gavin Newsom plans to declare a state of emergency in California on Friday and waive environmental regulations to expedite nearly three dozen local forest management projects to protect communities from the deadly wildfires that have decimated communities up and down the state. A preview of the governor’s order, obtained by The Times, shows that Newsom plans to suspend environmental laws and rules that would otherwise apply to the projects. He also would halt the state’s competitive bidding process for work and direct the Department of Forestry and Fire Protection to team up with the California National Guard to immediately begin reducing trees and shrubs in and around 200 cities and towns. … The projects will cost a total of $35 million, which will be paid with forest management funds in the 2018-19 budget. A new federal law aims to protect wildland firefighters by requiring agencies to outfit crews with GPS locators and deploy drones to scout out and map blazes. The Wildfire Management Technology Advancement Act, sponsored by U.S. Sen. Maria Cantwell, D-Wash., was signed by President Donald Trump last week after sailing through both chambers of Congress with large majorities. It was packaged with more than 130 other bills covering a variety of natural resource programs. The law also includes provisions related to wildfire smoke, which has choked Eastern Washington several summers in a row. On Wednesday, Cantwell joined fire and health experts at the Spokane Fire Department’s training center to tout the legislation, which was co-sponsored by Sen. Cory Gardner, R-Colo. “Senator Gardner and I both represent states that have been greatly impacted by wildland fires, so we worked together to bring new technology to the table,” Cantwell said. SACRAMENTO March 21, 2019 – Eight organizations have received $1.85 million in grants to hire watershed coordinators who will build local capacity to improve forest health, the Department of Conservation (DOC) announced today. “Healthy forests are essential to reduce catastrophic wildfires, supply clean water, and help reduce greenhouse gas emissions,” DOC Director David Bunn said. “Watershed coordinators can play a major role in ensuring the health of our forests by promoting collaboration, integrating watershed management efforts, and supporting local activities that restore resilience to forest lands.” Local projects will support the state’s Forest Carbon Plan and Executive Order B-52-18 and help achieve the California Global Warming Solutions Act’s goal of reducing California’s greenhouse gas emissions 40 percent below 1990 levels by 2030. Arizona’s two, new U.S. Senators have reached across the aisle to demand the U.S. Forest Service save the faltering Four Forest Restoration Initiative (4FRI). Recently appointed Republican Sen. Martha McSally and recently elected Democratic Sen. Kyrsten Sinema issued a joint statement calling on the Forest Service to change tactics on the ambitious, but stalled, effort to thin millions of acres of overgrown, wildfire-prone forests by essentially reinventing the timber industry. The 4FRI approach once united the Forest Service, local officials, loggers and environmental groups. They all agreed on the urgent need to remove thickets of small trees left by a century of mismanagement while leaving the remaining, fire-resistant, old-growth trees in place. 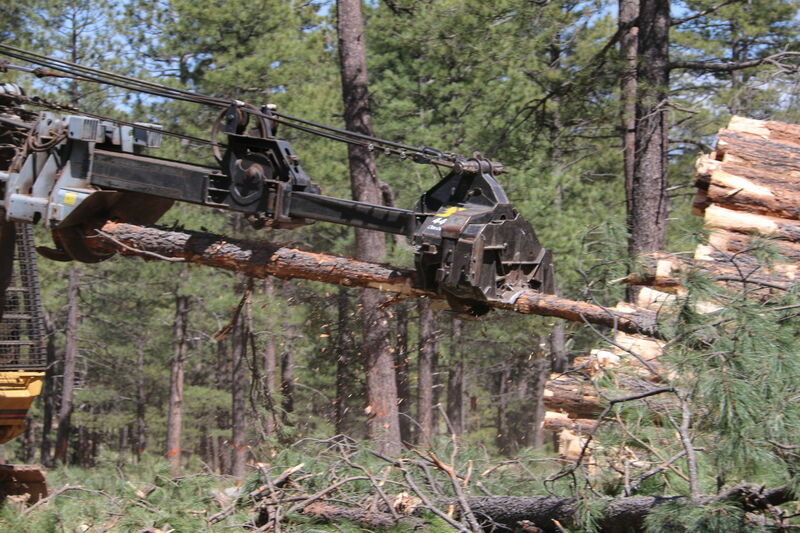 The Forest Service in 2012 awarded a contract intended to thin 300,000 acres in 10 years. However, the 4FRI contractors have thinned just 12,000 acres. Using a drip torch, a woman bends to carefully ignite a line of slow-burning embers. Charring away at greenery, the smolders catch along the edge of a stretch of forest in northern Tallahassee. The air is heavy with smoke, but the women seem unfazed, wearing helmets and smocks, thick yellow jackets and green pants. This week and through the end of March, about 45 women fire workers gather in the outskirts of the capital city to carry out prescribed burns and train in the forests of Tall Timbers, a fire ecology research lab. Prescribed burning, a conservation method, is a male-dominated line of work. Women make up only about 12 percent of permanent firefighting positions, according to the International Association of Wildland Fire. TRAVERSE CITY, Mich. — A U.S.-Canadian team prepared Thursday for another mission to relocate gray wolves to Isle Royale National Park in Michigan from a second Lake Superior island, where the predators are in danger of starvation after gobbling up a caribou herd. The targeted pack is on Michipicoten Island… which was home to hundreds of caribou until ice bridges formed in recent years, enabling wolves to cross over from the mainland and feast on their helpless prey. The Ontario Ministry of Natural Resources airlifted some of the last surviving caribou to another island last year. Before long the wolves were the ones in trouble, with only small mammals such as snowshoe hare left to eat. …They’ll be … taken to their new home, where there will be no shortage of prey. Isle Royale’s booming moose population is believed to exceed 1,500. 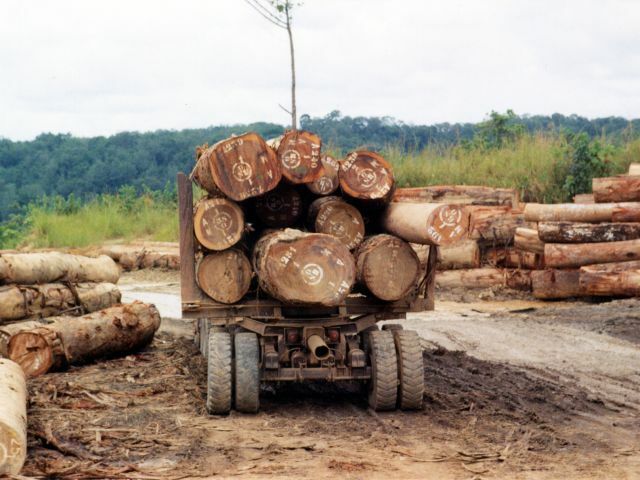 Companies based in Portugal, France, Belgium, Spain, Italy and Poland have been importing timber from Industrie Forestière du Congo (IFCO) – a logging company which Global Witness accuses of flouting forest laws in the Democratic Republic of Congo. Together, the ten companies placed more than 1,400m3 of IFCO’s so-called high-risk timber on the EU market, with a value of approximately €2 million, in the space of five months during 2018. IFCO is a recently created entity which has inherited logging operations previously belonging to Cotrefor. Under the European Timber regulations, companies must be able to show they have taken clear steps to reduce the risk that timber imported to the EU has been illegally harvested. Failure to do so can result in high penalties. Environmentalists are objecting to the Baker administration’s efforts in Massachusetts to promote the use of forest products as fuel for heat and energy. In a letter to Gov. Charlie Baker signed by about 30 representatives of environmental groups and scientists, the activists complain about the recent awarding of state grants, totaling almost $3 million, to companies involved in producing wood chips to burn in boilers and stoves. One of the activists, Laura Haight of the Pelham, Massachusetts-based Partnership for Policy Integrity said the Baker administration’s policy is at odds with climate science. …Legislation has been filed that would make woody biomass and garbage incineration ineligible for state renewable energy subsidies. Holidaymakers may soon be flying abroad on jets powered by scraps of wood, according to new research. 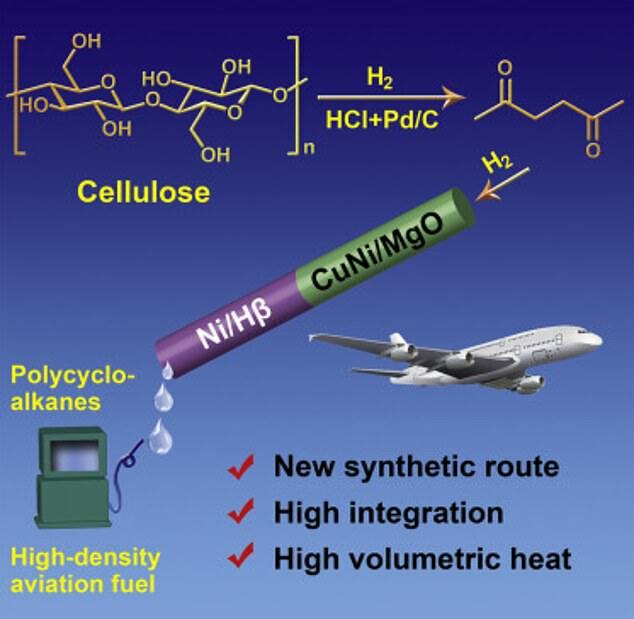 A green fuel that converts plant waste from farm and timber harvests into aviation fuel has been developed by scientists. They say it could help combat climate change by reducing CO2 emissions from aircraft and rockets. The gas is made from cellulose – one of the most abundant biological substances on the planet. It forms the main part of the cell walls of plants, keeping them stiff and strong. Professor Ning Li, of the Dalian Institute of Chemical Physics in China, said: “Our biofuel is important for mitigating CO2 emissions because it is derived from biomass.